We all know Yamashiro is a fabulous place for dinner, drinks, and views. 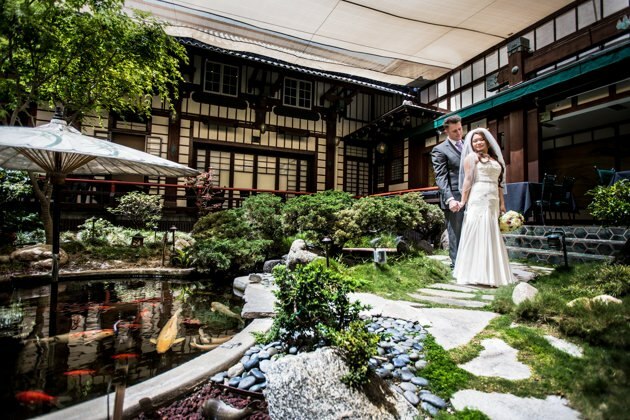 Yamashiro is also a renowned wedding spot. Our lush gardens and breathtaking views of Los Angeles make an ideal backdrop for ceremonies and wedding receptions of all sizes. We have wedding specialists who can help you navigate every detail of your special day, from customizing your menu to setting up your individual bride and groom suites. Whether your wedding is glamorous or simple, large or intimate, Yamashiro is pleased to help make your special day as relaxed and enjoyable as possible. For more information contact John Bergano, Marketing & Event Sales. JohnB@yamashirohollywood.com or (323) 466-5125 ext. 222. Check out these gorgeous and happy couples on their special day below!